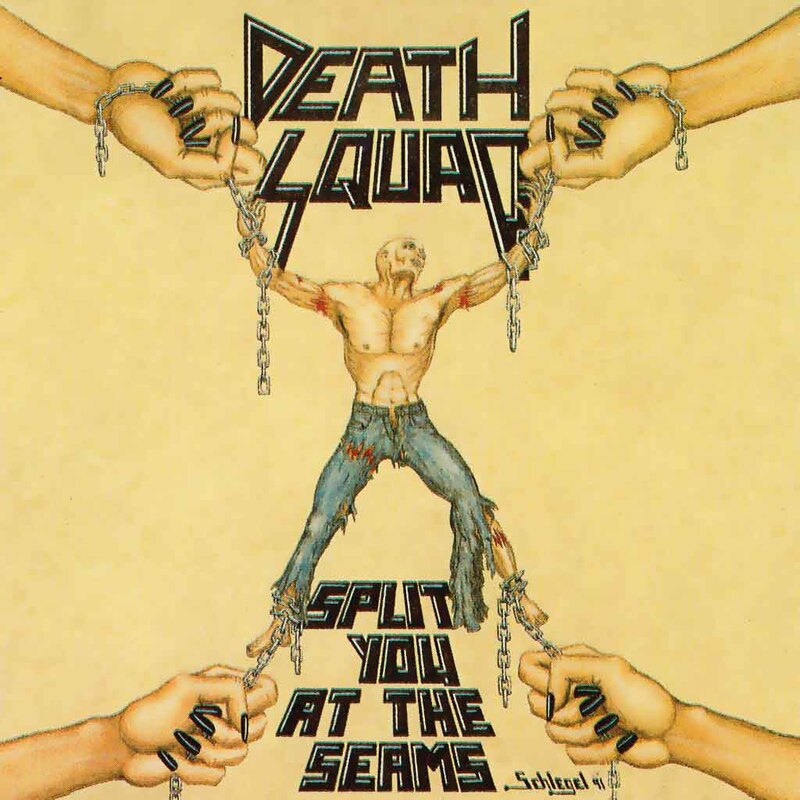 Coming from the school of later speed metal, Death Squad uses lots of choppy riffs but more of a Slayer-influenced dynamic of contrast between riffs, making it less cloying and irritating than the bands that shied away from the innovations of the second Metallica album versus the first, which essentially plugged them back into verse-chorus arrangements and forced the choruses to become rhythm hooks in order to keep energy high, which over time wore down listeners with repetition. Every aspect of this release emphasizes the homespun from its highly allusive but clearly homebrew riffcraft through its enhanced basement level production, and this independent nature manifests in songs that sound like Exodus and Overkill crossed with a more aggressive underground band. Heavy metal influences intrude with lead guitars but chanted vocals and high speed compel them to be minimal for most of this release. Although it sounds more like a compilation of demos than a freestanding album, Split You At The Seams delivers on the promise of speed metal, which was to make heavy metal more intense like punk and more riff-based like progressive rock, and despite the cudgel-like simplicity of many of these riffs, this album fulfills that need. Its independent spirit gives it additional charisma. While speed metal essentially died as a subgenre, it lives on through many who appreciate the clarity of its time and its approach, and this album provides an insight into that appeal. For those who want a basic speed metal without the excesses but with the extremity, this ancient work — re-issued in 2017 — might be worth exploring. Good recommendation. Death Squad have a balanced gritty and zippy sound. Made me pull out other no frills, oldschool speed/thrash like Germany’s Necronomicon, and Vectom. Never heard of this band before. Half-way through listening to the album and it seems very promising. Surprised there’s no mention of Sepultura in the review. I’m hearing quite a few riffs that bring to mind ‘Schizophrenia’, ‘Beneath the Remains’ and even ‘Arise’ here and there. Thanks for posting been listening nonstop on Spotify, ordered the LP reissue as well. There were quite a few from the death/speed hybrid era who saw what was coming but wanted to keep one foot in the heavy metal world.